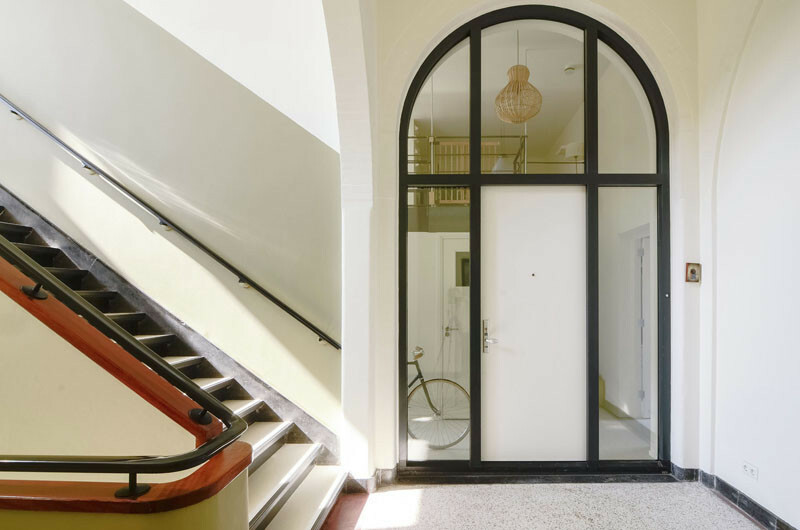 CASA architecten transformed an old 1910 school house in Amsterdam, into ten large apartments. 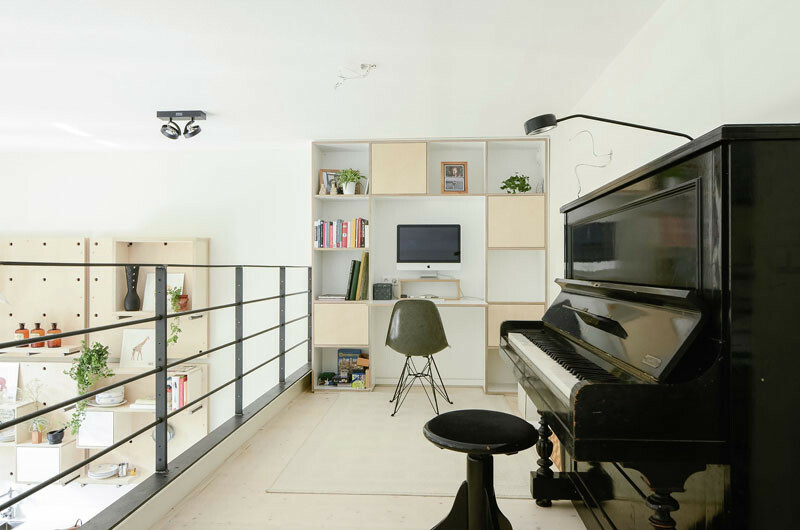 One of those apartments in the renovated building was designed by Standard Studio for a family of four. Definitely not looking like a school anymore, the main area is open with the living, dining and kitchen area, all sharing the same space. 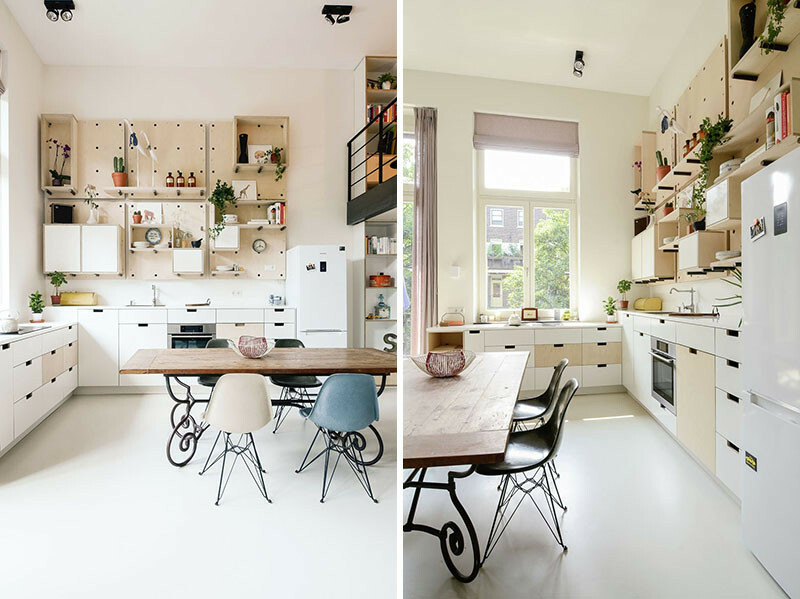 The kitchen has a wall of peg board shelving, allowing the family to change the design whenever they desire. 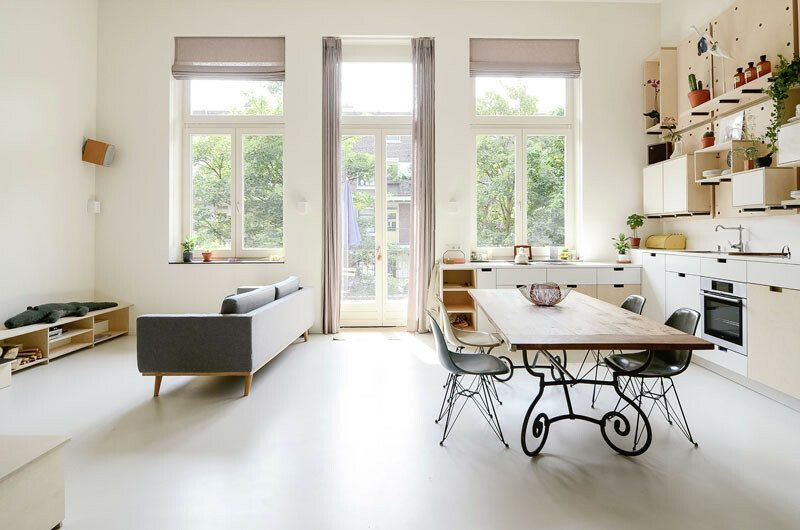 The kitchen/dining and living area are separated by the tall doors to the balcony. 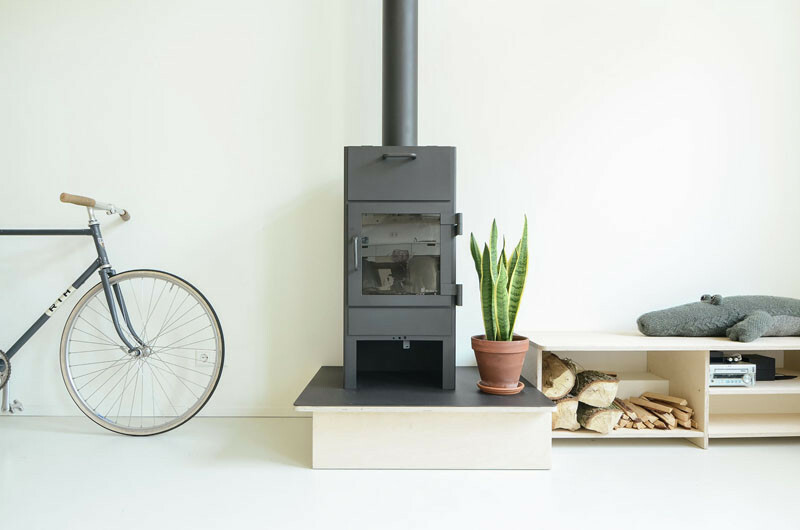 Opposite the sofa, there’s a shelving unit that provides storage, as well as becoming a platform for a wood burning fireplace. 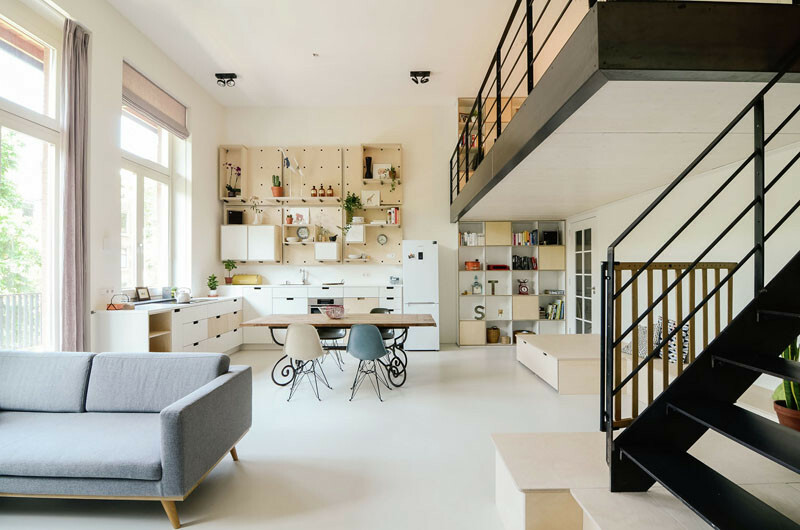 Due to the high ceilings in the apartment, the designers were able to create mini lofts in the living area and the master bedroom. 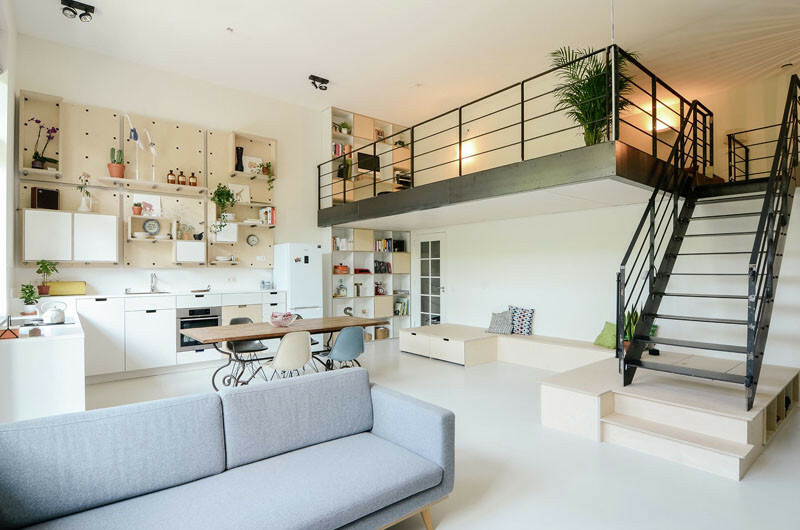 The loft above the main living area allows for the whole family to be together, but still have some private space. 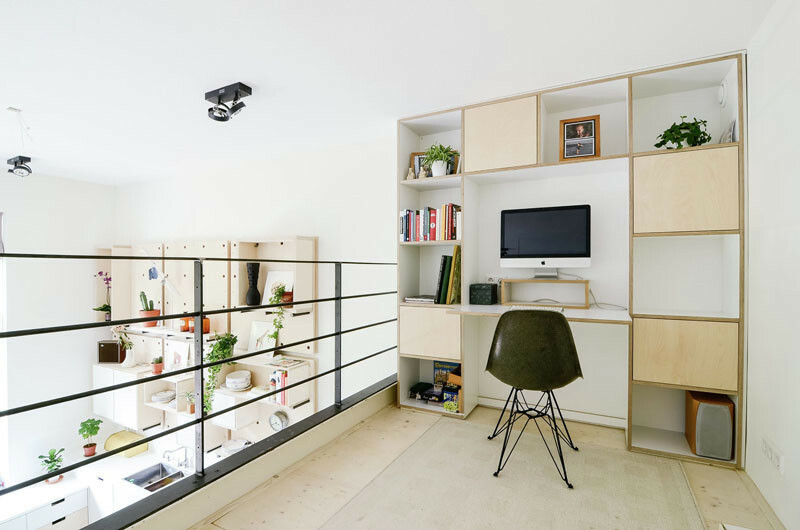 The home office is tucked away at the end of the loft, with its built-in shelving and desk. 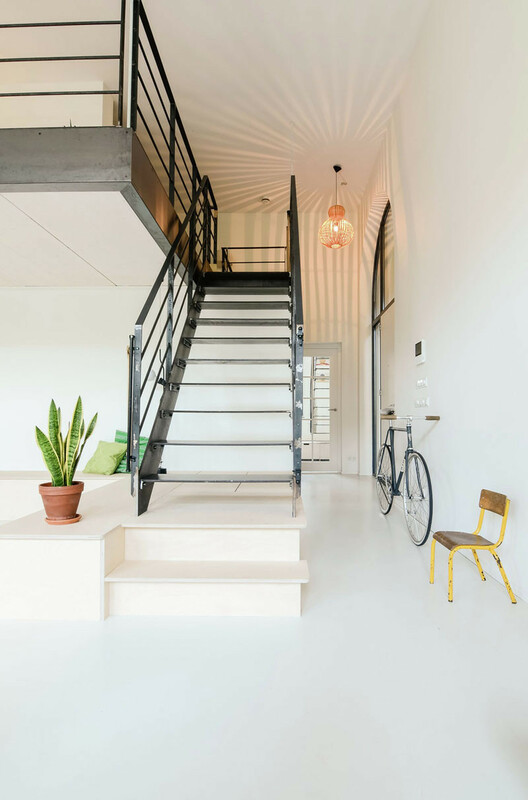 Close by the front door there’s another set of stairs leading you to more rooms. 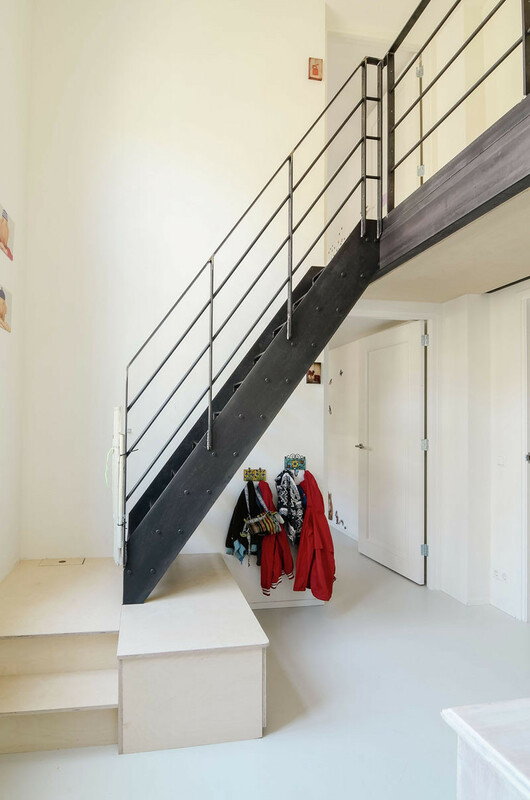 The concrete floors and steel staircases kept the characteristics of the school but when combined with plywood, it resulted in a bright and warm interior. 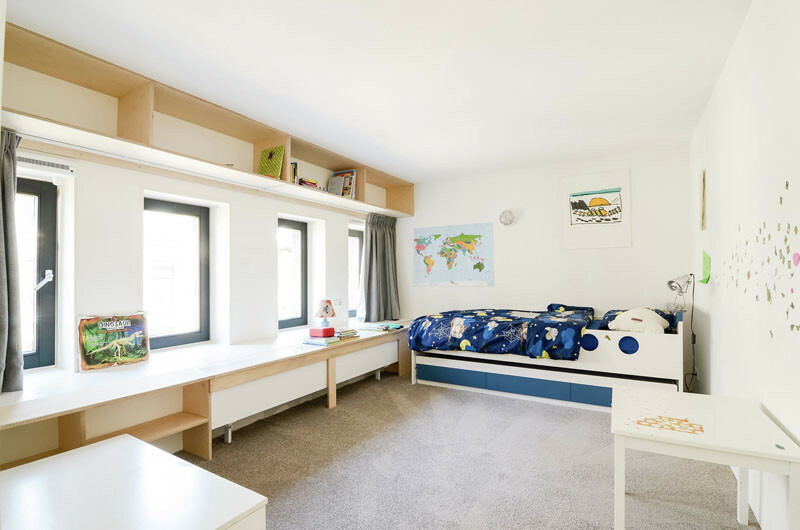 There’s a children’s bedroom, that has built-in cabinetry above and below the windows. 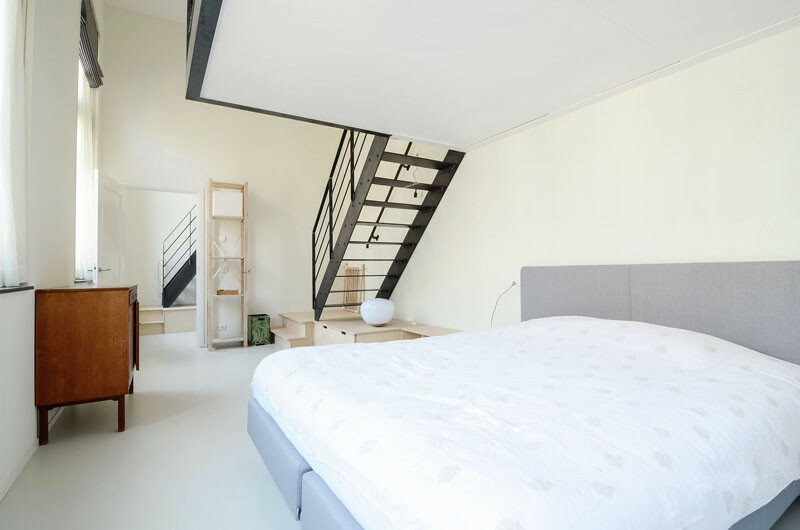 The expansive master bedroom is full of light from the large windows. 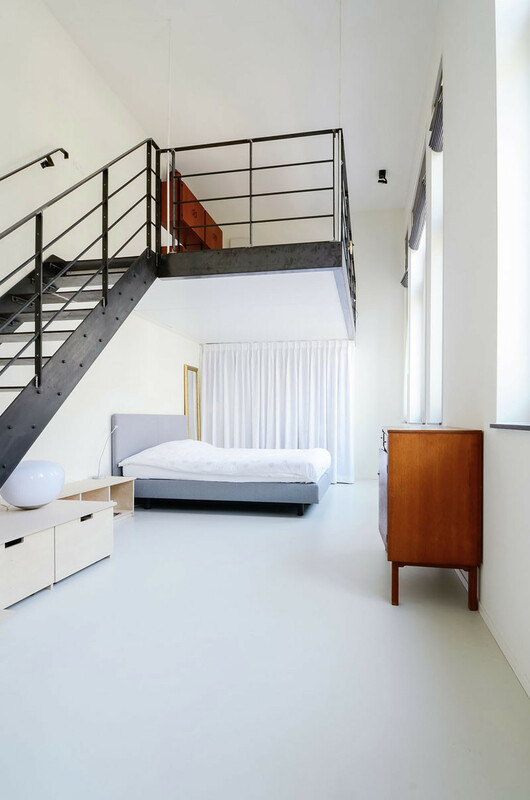 Here you can see the other loft space, positioned above the bed.